You see, I studied abroad in London during college and, although it’s rare, once in a while I will crave something from those days. Typically it’s something more like fish & chips (fried fish with french fries) or occasionally Indian food (chicken tikka masala is said to actually come from the UK, not India). But this time it was the simple Shepherd’s Pie–a dish made with beef typically cooked with peas and carrots, then topped by mashed potatoes and baked. But this time I wanted to make it myself and I wanted to add a lot of the Cuban flavors that I grew up with. 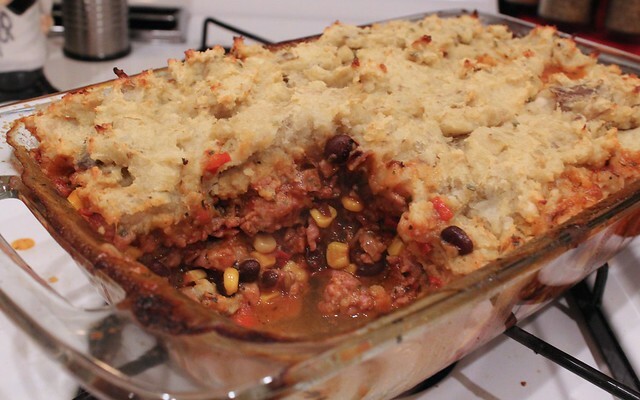 So, voila, my Cuban-style Shepher’s Pie was born! After starting off with what was basically a traditional Cuban sofrito, I added in some pork chorizo and pork sausage to give it some flavor. It needs to cook all the way through first, though, before the dish is ready for more. Once the pork is ready, that’s when the real fun begins. Instead of the traditional peas and carrots, I added in black beans, corn and fire-roasted diced tomatoes. 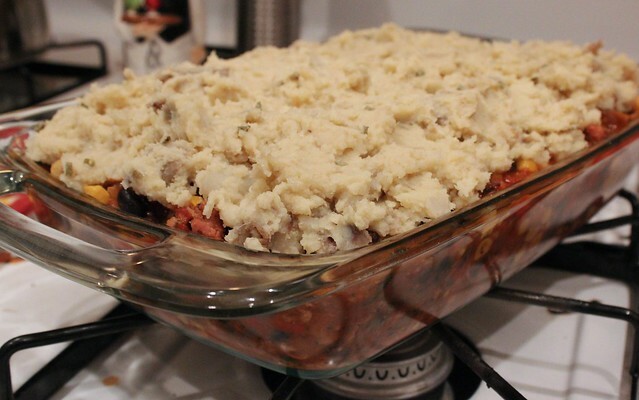 It’s not actually a Shepherd’s Pie unless it’s topped by mashed potatoes, right? Lucky for me, I had just made some mashed boniato instead–that is the Cuban white sweet potato and it was a perfect addition to this Latinized dish. This Cuban-style version of Shepherd's Pie includes delicious pork, habanero and cachucha peppers, and is topped by mashed boniato for a great kick. Start off by making a traditional Cuban sofrito: first stir-fry the onion for about 3-5 minutes, then add in the bell pepper for 2 minutes, and then the garlic for another minute. Finally, add in the habanero and cachucha peppers for another 3 minutes. 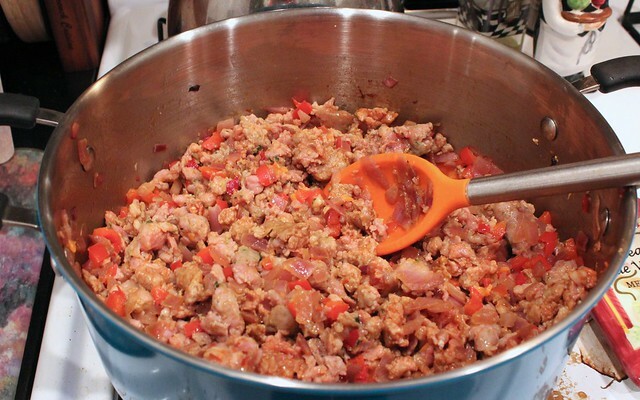 Add in the pork chorizo and pork sausage, both chopped, and cook until they are fully done, about 10 minutes. 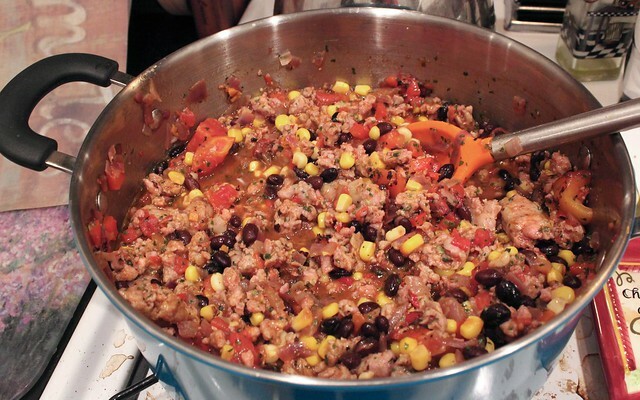 Add in the black beans, corn and diced tomatoes. Add the spices, mix everything together and cook for 5 minutes. Finally, transfer your cooked pork mixture to an oven-safe dish. Top with the already made mashed bonito. Bake for 30 minutes at 400 degrees, then take out and let cool for 10-15 minutes. Serve with a sprinkling of fresh cilantro, if desired. 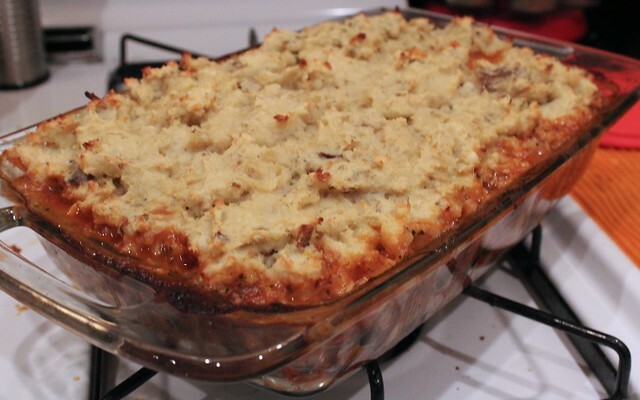 Have you ever had a Latinized version of a traditional Shepherd’s Pie? This entry was posted in Cuban, Gluten-Free, International Flavors, Meats and tagged boniato, cuban, international flavors, pork, spicy by Irina Gonzalez. Bookmark the permalink.